Thank you to all of our supporters across South County, the State of Rhode Island and the nation for your support in our tool recovery efforts!!! Exeter, R.I. Sometime between the evening of September 24th and the morning of September 25th, thieves broke into a construction trailer for South County Habitat for Humanity, stealing over $20,000 in tools and equipment. Habitat recently started construction of a duplex home in Exeter and the theft was discovered Tuesday morning when crews showed up to work on the house. The theft not only causes an unplanned financial burden for the organization, but also creates a delay in construction of the home for two families in need of decent and affordable housing. To replace the stolen tools and equipment as quickly as possible, South County Habitat has launched a fundraising program to help purchase replacement equipment. For those interested in helping in this effort, please click here to donate. Most of the stolen tools and equipment were marked with “SCHH” on them. We encourage anyone with information about the stolen tools and equipment to contact Trooper Lanoie at the Rhode Island State Police, Hope Valley Barracks, 401-444-1068. About South County Habitat for Humanity South County Habitat for Humanity is dedicated to eliminating substandard housing locally and worldwide through constructing, rehabilitating and preserving homes; by advocating for fair and just housing policies; and by providing training and access to resources to help families improve their shelter conditions. 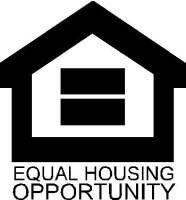 For more general information, call 401-213-6711 or go to our website at www.southcountyhabitat.org.